The world's first dinosaur park, Crystal Palace Dinosaurs in London, did not have a Tyrannosaurus rex. A glaring omission, you might think, but an understandable one: the park opened in 1854, over 50 years before the T. rex species was named. Dinosaur parks, whether Victorian fields of stone sculptures or Jurassic Park-influenced, animatronically enhanced attractions, reflect not only the technology of their time, but the paleontological knowledge. As more fossils are discovered, and more revisions to classification and rendering made, these parks become time capsules populated by creatures that are often, in retrospect, kinda goofy looking. In 1842, English paleontologist Richard Owen analyzed the fossils of three Mesozoic-era reptile genera—Megalosaurus, Iguanodon, and Hylaeosaurus—and found enough similarities to establish a new taxonomic group. He named this group dinosauria, from the Greek deinos ("terrible") and sauros ("lizard"). It was Owen who spearheaded the development of Crystal Palace Dinosaurs, a collection of life-sized models that would constitute the first publicly accessible prehistoric theme park. To realize this vision, Owen teamed up with sculptor and natural history artist Benjamin Waterhouse-Hawkins, who was fresh from overseeing London's Great Exhibition of 1851. Though public enthusiasm for the park was high—"terrible lizards" being an exciting and mysterious new thing for Victorians—Crystal Palace struggled financially. Sculpting each model was an expensive undertaking, and funding ran out before Waterhouse-Hawkins could create his full planned roster of stone animals. As palentological discoveries in the late 19th century caused revisions in the rendering of dinosaurs—influenced by the evolutionary theories evinced in Charles Darwin's On the Origin of the Species, published in 1859—Crystal Palace's creatures became less and less accurate. By the dawn of the 20th century, the park had become run-down and risible. An old dinosaur has been given a new name. A new species of ankylosaur (ANK’-EYE’-lo-saur) was discovered in Mongolia in 2000 by a team led by University of Alberta researchers. A zoological journal published a paper this week by the same group naming the creature Zaraapelta (zar-ah-PELL’-tah) nomadis. Like other ankylosaurs, Zaraapelta was an armoured plant-eater with a gigantic club for a tail. But it was more spectacular than most, with distinctive horns and an elaborate pattern of bumps and grooves behind its eyes. Its skull is part of a collection at the Mongolian Paleontologist Center. Unearthing the fossilized bones of dinosaurs without destroying them is already a pretty fiddly process, one that requires time, patience, and many, many delicate brushes. But when you're talking not about bones but the even more delicate tracks that dinosaurs left behind, the process gets that much trickier. I had to figure out a way to remove a bunch of rock from a specimen with out damaging the fossil footprint. We were in the process of moving to a new building with a weight restriction on the floor and the block was going to probably be too heavy. The footprint, while large (tyranosaurid), was quite fragile so power tools were out of the question. In trying to figure something out I looked into a lot of ancient techniques. 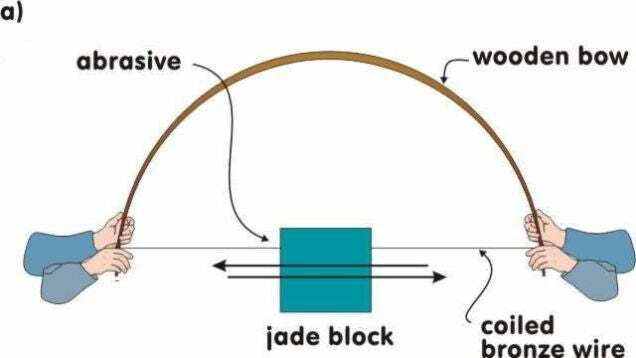 What I ended up using was a modification on a Chinese bow saw but instead of coiling bronze wire between the bow I coiled it around an iron shaft so that it was a one man operation... I don't remember why but I think I called it a Phoenician saw for some reason (a google search turns up nothing useful). Anyways to make a long story shortish: the key to ancient rock cutting it time. As long as you have an abrasive harder then what you are cutting you are going to succeed eventually. Though I didn't actually succeed myself because before I could really start cutting we found really small turtle tracks associated with the theropod track and ended up needing to keep the whole block(it was one of those things where the theropod track was so imposing that you just didn't notice the smaller prints... but once you saw one...). "I'm just extremely sorry for a horrible decision that I made." 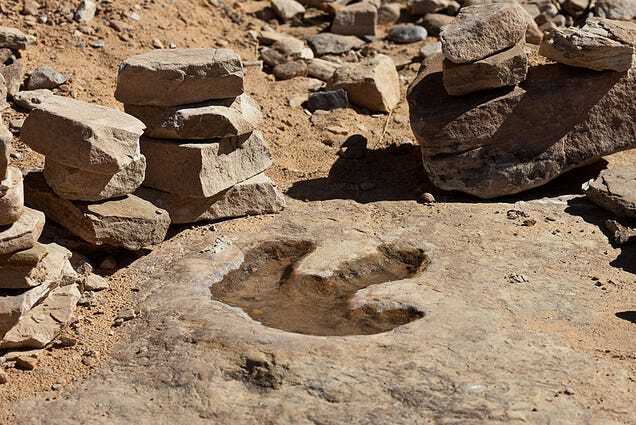 A Utah man was sentenced to a year probation, half of which must be served under house arrest, and fined $15,000 Monday after pleading guilty to stealing a fossilized dinosaur footprint believed to be 190 million years old. The defendant, Jared Ehlers, 35, said he was "sorry" for unhinging the 150-pound sandstone slab in the Sand Flats Recreation Area of Southeastern Utah and dumping the three-toed print into the Colorado River. "I don't have a lot to say," Ehlers said during sentencing before US District Judge Dale Kimball. "I'm just extremely sorry for a horrible decision that I made." While on the Hell's Revenge trail, Ehlers saw that the footprint was loose. He pried it up and took it to his nearby Moab home. Federal authorities said he dumped the print after being questioned about the print. 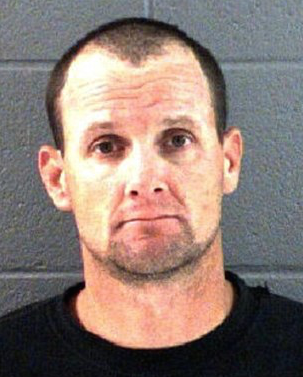 He pleaded guilty in July to a felony count of theft of a paleontological resource. When Clive Coy saw two small fossilized dinosaur toes sticking out the side of a hill in the Badlands, he hoped the remains of an entire animal were waiting to be unearthed. The fossil of the small, meat-eating biped that Coy and other University of Alberta paleontologists excavated last month appears to be a saurornitholestes, but Coy and lead paleontologist Philip Currie said they haven't studied it enough to provide any details yet. Back at the U of A, Coy is meticulously cleaning away the ancient mud and sand that have encased the little raptor for 75 million years. He couldn't yet say if it was indeed a complete skeleton. "Something I've always enjoyed when I'm doing the preparation work is knowing I'm the first human being to see this," said Coy, who is the senior technician in the university's Vertebrate Paleontology Department. The only mammals in existence in the late Cretaceous era, when Coy's dinosaur was alive, were mouse and opossum-sized creatures, and they were already nothing but fossils when humanity's earliest ancestors emerged. "This animal is a fossil and now our (mammalian) ancestors are fossils ... Down the evolutionary chain, there's me digging up this creature that died 75 million years ago," Coy said. Paleontologists Coy, Currie and Eva Koppelhus led last June's expedition with 15 other members of the international Explorers Club. "We found a lot of good material, (including) half a dozen other skeletons that we need to investigate," Coy said. "This one was promising enough that we made a special trip out two weeks ago to dig down to see what this was." According to John Pickrell, the editor of Australian Geographic, we live in a golden age of dinosaur discoveries. The most important of these may be that the dinosaurs didn’t die out when an asteroid hit earth 66 million years ago. In fact, they still live among us... as birds. Imagine, if you will, a world filled with billions of dinosaurs. A world where they can be found in thousands of shapes, sizes, colours and classes in every habitable pocket of the planet. Imagine them from the desert dunes of the Sahara to the frozen rim of the Antarctic Circle, from the balmy islands of the South Pacific to the high peaks of the Himalayas. You don’t have to imagine very hard. Dinosaurs didn’t die out when an asteroid hit the Earth 66 million years ago. In fact, wherever you live, you can probably step outside and look up into the trees and skies to find them: birds are dinosaurs and they are all around you. We have learned more about dinosaurs in the two decades since Jurassic Park than we did in the thousands of years before it. Everything I was told as a child was wrong. At the end of the Triassic around 199 million years ago, the supercontinent Pangea was just about to break apart and nearly a quarter of all dinosaurs living at the time were wiped out in the planet’s fourth mass extinction event. The fossil record shortly after the Triassic-Jurassic event is pretty incomplete, especially in parts of modern-day South America. Until now, only one dinosaur has ever been found in the northern part of the contient. 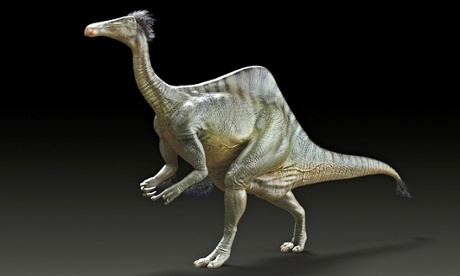 A new meat-eating dinosaur unearthed in the Venezuelan Andes could help fill in the gaps. It’s dubbed Tachiraptor admirabilis, and it’s described in Royal Society Open Science this week. Isolated lower leg and pelvis bones from two individuals were unearthed from the earliest Jurassic sediments of the La Quinta Formation in the northernmost extension of the Andes, at the western border of Venezuela. Dating of the zircons in the rocks puts the fossil at 200.7 million years old. From just these two bones -- specifically the ischium and tibia (pictured) -- a team led by Max Langer from the University of São Paulo was able to determine that it was bipedal, about two meters long, and carnivorous. Tachiraptor belong to the theropod (“beast-footed”) branch of dinosaurs, which led up to modern birds and includes T. rex, velociraptor, a wee pygmy tyrannosaur who stalked the arctic, and the shark-eating spinosaurus, the first ever swimming dinosaur. Unique features of its tibial articulations were different enough from known theropods to warrant a new species. Tachiraptor is named after Táchira, the Venezuelan state where the fossil was found, and “raptor” (Latin for “thief”), alluding to its predatory habits. The species name references Simon Bolivar's “Admirable Campaign,” where the town La Grita played a strategic role. We're including the Extra Heads Kit free with every Tiny Human Deluxe Kit until October 31st. Just buy the Tiny Human Deluxe Kit and your order will receive the Extra Heads Kit at no extra cost. No coupon necessary. Five thousand years after he died, the first known gay caveman has emerged into the daylight. According to archaeologists, the way he was buried suggests that he was of a different sexual persuasion. The skeleton of the late Stone Age man, unearthed during excavations in the Czech Republic, is said to date back to between 2900 and 2500 BC. During that period, men were traditionally buried lying on their right side with the head pointing towards the west; women on their left side with the head facing east. In this case, the man was on his left side with his head facing west. Another clue is that men tended to be interred with weapons, hammers and flint knives as well as several portions of food and drink to accompany them to the other side. 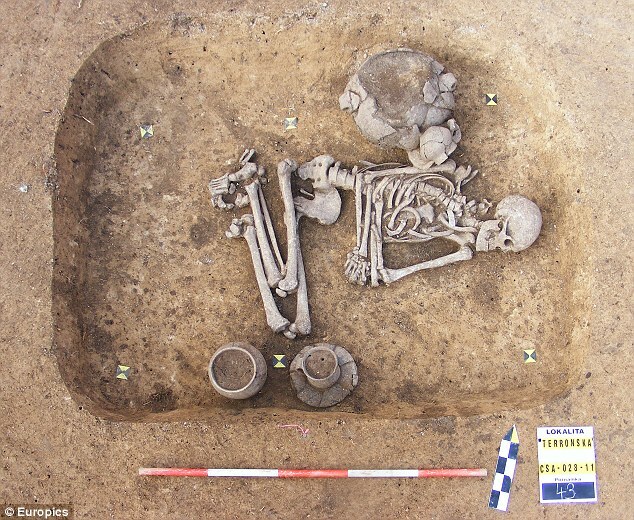 Women would be buried with necklaces made from teeth, pets, and copper earrings, as well as domestic jugs and an egg-shaped pot placed near the feet. The ‘gay caveman’ was buried with household jugs, and no weapons. Brontosaurus has been a popular request over the last few months. After a modest correction relating to naming conventions, Steve obliges! Using a rather jiggly example, he covers what made these creatures extremely successful for their time. "This discovery clarifies how dinosaur arms became bird wings," said one of the study's authors, Dr Alexander Vargas of the University of Chile in Santiago. Skeletal similarities between theropod dinosaurs and birds provide some of the strongest evidence showing how birds developed from dinosaurs. But the evolution of straight dinosaur wrists into hyperflexible wrists allowing birds to fold their wings when not flying, has remained a point of contention between palaeontologists and some developmental biologists. The semilunate originated as two separate dinosaur bones which eventually fused into a single bone. However some developmental biologists claim it evolved as a single bone in birds, and so isn't the same bone as that found in dinosaurs. "We developed a new technique called whole-mount immunostaining, which allows us to observe skeleton development better than ever before, including the expression of proteins inside embryonic cartilage," said Vargas. That’s a decent description of a dinosaur, but it’s not the scientific definition. 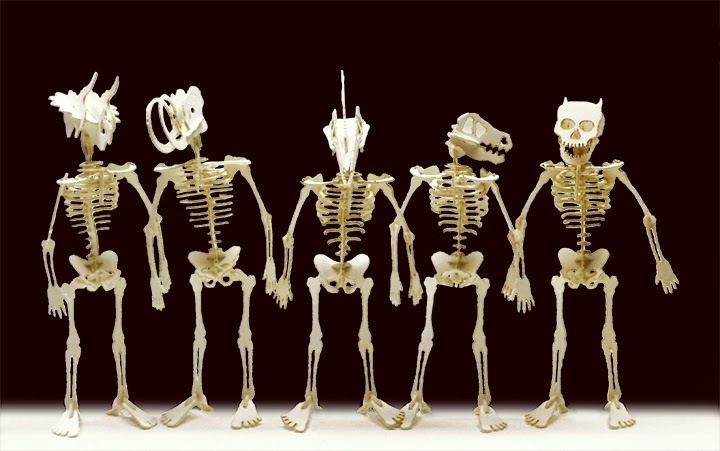 Paleontologists don’t group species together according to when and where they lived, but based on shared characteristics, usually anatomical features seen in fossils. Dozens of features distinguish dinosaurs from other reptiles, such as bones of the lower arm being longer than the upper arm. When Paleontologists combine and compare such characteristics between various reptiles, they can create a tree of evolutionary history that reveals the relationships between different groups. Several groups of prehistoric creatures are often mistaken for dinosaurs, even though evolutionary trees show that they’re distantly related. One group doesn’t even consist of reptiles. To help you tell extinct reptiles apart, here is a simple guide to the major features of dinosaurs and ‘other saurs’, arranged in order of when the animals appeared millions of years ago (MYA). One of the perks of discovering a new species of dinosaur is that you get to name it whatever you want, even if it's a movie reference. Last week, a group of paleontologists from the Chinese Academy of Sciences put that rule to the test when they decided to name their latest find the "Ikrandraci avatar" — literally, "the Ikran dragon from Avatar." In the movie, Ikrans were the blue dragon-looking creatures that the Na'vi rode into battle, and apparently the scientists saw a resemblance. Their new find is a pterosaur with a pelican-like throat pouch and a wingspan of roughly eight feet, but the scientists say the name was inspired by an Ikran-like crest on the creature's lower jaw. The group believes the new pterosaur fed largely on fish from freshwater lakes, and the crest was useful for scooping them out of the water. Still, the artist's rendering looks more like a pelican than anything else, suggesting the group may have let their fandom get the best of them.